It's not going to be long now until Kentico version 12 will be released later this year. If you're like me, that feels like a long time away to wait to get my hands on the new shiny version. If you can't wait that long you must try and get your hands on the latest beta released by Kentico, milestone 3. I've got the latest beta, being a Kentico MVP does help to get the releases quicker ;), but don't worry everyone can get access to this beta, you just need to contact the Kentico Product Management Team. If you've not had a chance to review the previous Kentico beta's or didn't even know they were released, i've generated a few links to the blogs posts from various members of the Kentico community to help you get up to date. Hopefully those posts can give you some insight to the excellent work Kentico have been putting into this new version of Kentico. If you've not heard about this already, something prehistoric is happening in this new Kentico version. The new release of the product has been labelled Kentico Raptor, symbolising big changes and big impacts! 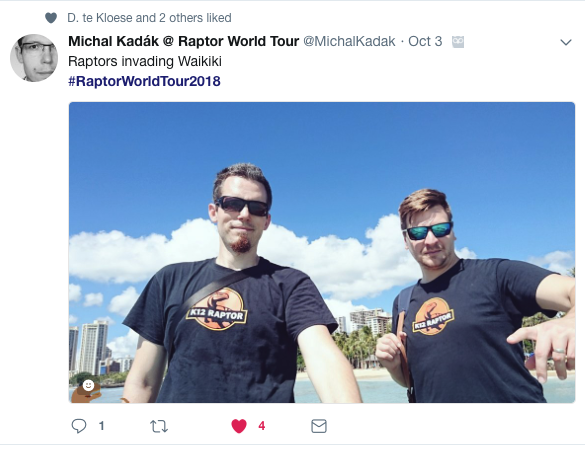 There have been lots of tweets by the Product Management Team, including Michal Kadak and David Komerek the king Kentico Raptor leaders! Make sure you get involved in the Raptor World Tour when Kentico Connections comes near you. Sydney and Chicago have already had a taste of the Raptor, now the rest of the world will get its chance in Prague! With that aside, let's get straight into this review of the beta and below I will explain some of the exciting new features to look out for in the upcoming Kentico 12 release. Kentico 12 will be getting a new makeover. New colours to the administrator homepage area, providing it with a face lift to symbolise a new fresh version for you all to use. Have a look at the sneak peek below for the change. You will also notice that the Kentico logo is now in its famous orange background, which is a neat change introduced by Kentico. We all know how using MVC introduces the separation of concerns (SoC) concept but imagine this in the Kentico documentation world. It brings the beauty you can see below. The ability to focus on MVC specific documentation or combined, makes it so much handy while developing your sites. See the demonstation video below on how the documentation changes according to the selected development model. When searching within the documentation you also get the handy indications of which articles are MVC, which are for the Portal Engine and which are combined and used for both models. This makes searching for what you need a lot easier than it was available in previous versions. Have a look at the video below to help demostrate this. No stopping the Widgets now! With the introduction to the Page Builder in Kentico MVC early on this year, widgets were a part of Kentico MVC development. Kentico have introduced in each beta version and milestone they create gradual increments to the evolving widgets. This beta version does not disappoint us! We now have the capabilities to add in much needed properties into our custom widgets. This is a massive addition to the widgets in MVC, as now you can allow the content editor the ability to complete properties for specific widgets to help orchestrate how the widget appears on the screen. Now I was going to write about how to add this functionality into your MVC sites, but my great MVP friend David te Kloese has wrote a blog post on this specific area. Check his blog post out on Kentico 12 - MVC widget properties. As you can see having this widgets properties feature available for the Kentico content editors will make a massive difference to our clients using the platform in the MVC model. Within this new version you can personalise the widgets, which are within the Page Builder section. 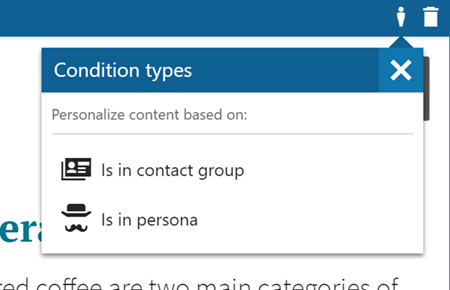 In doing this, you can now use conditions that match whether someone is within a contact group or within a specific persona. This is just an example of what is provided for you to look at from within the beta. Currently the focus is on the two specific areas of personalisation Contact Group and Persona, but should a requirement for other areas be needed, then don't hesitate to contact Kentico explaining what and why. 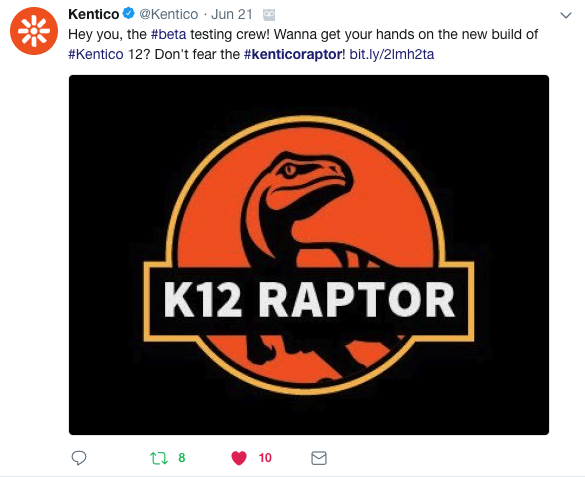 It's important to emphases that this blog post talks about a beta version and items talked about in this post could be subject to change before the actual release of Kentico 12. Hopefully this has got your taste buds going and you can't wait for the upcoming release of Kentico 12 in the coming months. If you would like to get your hands on the beta version, then contact the Kentico Product Management Team, who would be happy to share this with you.